Santa Claus is coming! Not this exact moment, of course – there’s a lot of prep work and reindeer maintenance going on at the North Pole right now. But soon, Santa will take to the skies in his sled, making yet another incredible around the world trip. Want to keep tabs on Jolly Ol’ Saint Nick? Here are several great options for locating Santa’s sleigh on a smartphone, tablet and PC. Perhaps the most famous of all the Santa Claus trackers is the one from the North American Aerospace Defense Command (NORAD). Founded in the 1950s to track the threat of Soviet missiles, the joint U.S and Canadian agency has been keeping tabs on Santa’s movements for decades now via radar. It’s always been my family’s go-to source for up-to-date Santa info. 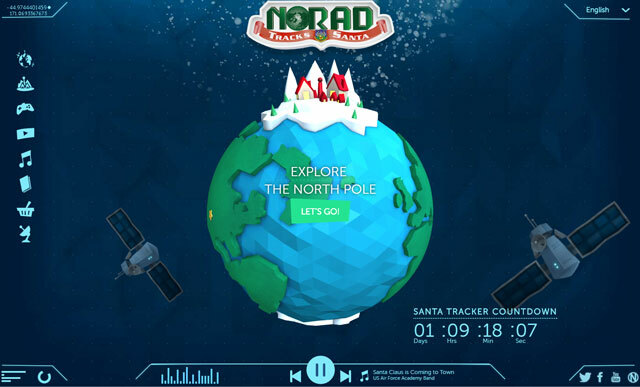 There are plenty of reasons to check out the NORAD Santa Tracker before Christmas Eve, too. It features a virtual Santa’s village where kids can explore games, various videos explaining how Santa is tracked and Christmas music tracks courtesy of the USA Air Force Academy Band. You can check out the NORAD Santa Tracker on your computer by visiting noradsanta.org. Smartphone and tablet owners can download the NORAD Santa Tracker app via the Apple App Store (iOS) and Google Play (Android). You can also call NORAD directly for Santa info at 877-HI-NORAD (877-446-6723). Alexa, ask KAYAK to track Santa. Alexa, ask KAYAK, when will Santa be in New York? Alexa, ask KAYAK when Santa will be here? Many of us use Google Maps to help us find unfamiliar locations, avoid traffic snarls and help catch the next train. But on Christmas Eve, Google Maps will take on a far more important challenge: helping kids around the world find information on Santa Claus’s whereabouts. 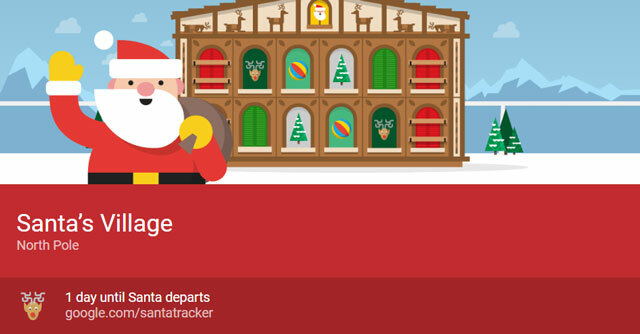 In the run up to Christmas, kids who visit Google’s Santa Tracker page will be able to look around a cartoonish Santa’s Village, with new animations and games added every day. On Christmas Eve, the Santa Tracker shifts into full gear, allowing curious minds to not just find Santa on a map, but learn a little bit about each destination, too. Your family can explore the Google Santa Tracker by visiting google.com/santatracker or downloading the Google Santa Tracker app (free on Google Play). If Santa is a mythical being, then how can these tracking things be real? I’m pretty sure the Discovery Channel has a new series launching in February called “Searching for Santa” where experts in flying reindeer set out to prove Santa is real, and his existence has been covered up as part of a massive scientific/governmental conspiracy mandated by Congress during the Cold War.